I did a guest post for my friend over at Love, Pomegranate House a couple of weeks ago! I shared this delicious Gingerbread Cider. I got this recipe from a good friend of mine that is an amazing cook! I knew that this would become an instant favorite at our house! 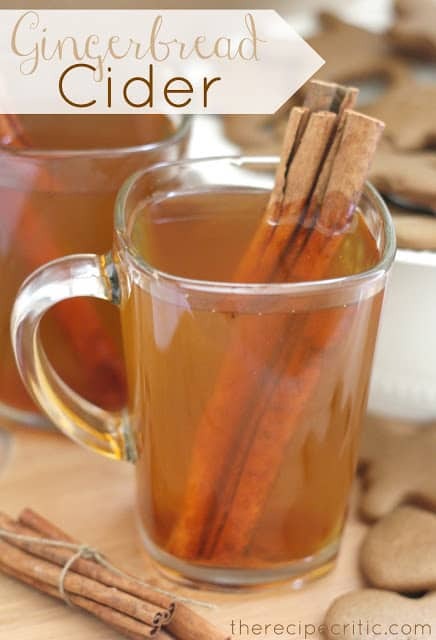 It has the perfect blend of spices that make it absolutely delicious and it is so perfect for a cold day! Review: This became an instant favorite in our house that we will be making again and again! We made a fresh batch of gingerbread cookies and it was perfect! 1. Pour the apple cider in a big pot. Turn the stove on medium low, but don’t allow it to get too hot. 2. Add the sugar and spices. 3. Heat up the cider to temperature that is desired. 4. Let simmer for about 20 minutes and serve!